In this article, I talked about the first of 3 major strategic announcements to come out of .NEXT 2017. That article goes over how the calm.io acquisition has been put to use by Nutanix in their Enterprise Cloud Platform. Now, lets talk about the 2nd major announcement, which is Xi and the partnership with Google Cloud Platform. One of the things I enjoy about being a Nutanix partner is the pace of innovation. They consistently come out with new ideas that I didn’t even know I needed. When I think back to the announcements from 2 years ago that they would be taking on the hypervisor behemoths, I didn’t even realize that I wanted another hypervisor. Now, as AHV accounts for nearly 1/4 of all nodes shipped, its apparent that I did. 2 years ago they talked about public cloud integration pushing hybrid cloud configurations forward. Now we get to see how that begins. Xi Cloud Services is a Nutanix based cloud type offering that gives a consistent management experience via Prism with your on-premise equipment. To me, this announcement is not so much a public cloud offering though, its more about enabling a fully integrated hybrid cloud stack. Nutanix has built out the XI Cloud on Nutanix NX infrastructure across 4 different datacenters in the US, which will be divided into 2 different regions. You’ll be able to start buying this in Q1 of 2018. 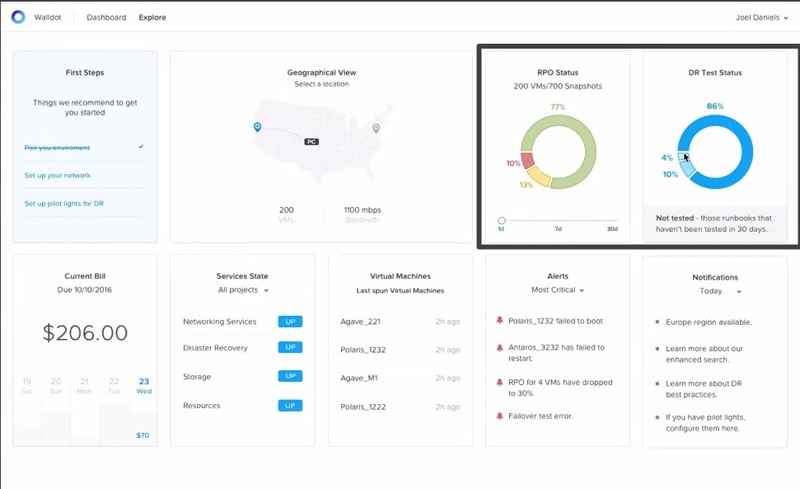 The first product or service here is Xi DR, which will allow you to replicate from your on-premise Nutanix cluster, to a remote one located in the cloud. Think of it as a remote Nutanix stack that you can use (rent, in a sense) for DR purposes. RPO is currently 1hr, with the target organization profile being SMB up to Enterprise ROBO locations. So how does Google Cloud Services factor into this? You’ll be able to run this remote Nutanix environment on the Google Cloud Platform. There will be a common control plane across the various multi-cloud options, enabling you to deploy applications with the same workflow regardless of destination. The idea is that eventually, you’ll be able to choose to run your applications locally, on the Nutanix cloud, or on the Google Cloud Platform. Deploying applications across these various clouds will follow the same basic workflow. What do you think about this approach? Let us know in the comments below.